An old English inn on the smuggler's coast of Cornwall, the Vatican and a 3000 year-old mystery woven into an intriguing piece of modern fiction. 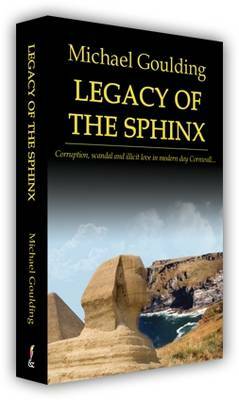 Following the translation of two "Dead Sea Scrolls" kept hidden from the world by the Vatican, Connor Tremayne, a highly unconventional Jesuit priest and Mary O'Brien, a Carmelite novice with a hidden past, are dispatched to England to investigate the possible whereabouts of a 3000 year-old artefact. Working undercover within the close-knit community of a remote Cornish fishing village, their personal differences and Connor's relationship with the eligible niece of the local innkeeper, threaten to expose their operation and put both their lives at risk. The nature of the ancient relic that lies beneath the towering cliffs turns out to be stunning in its implications and their discoveries lead to consequences that could never have been imagined.